New, old stock. 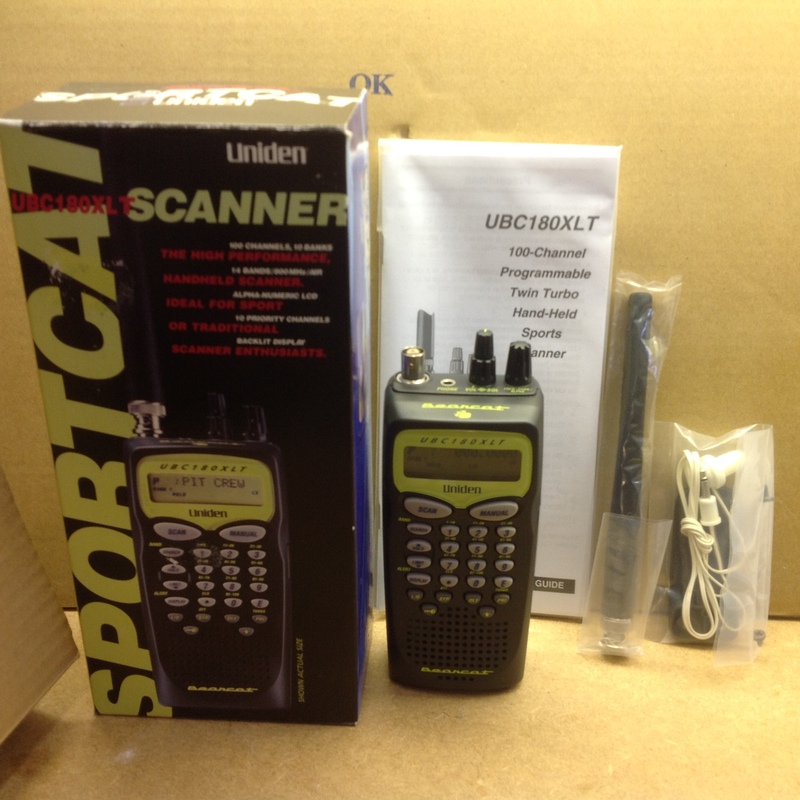 A Uniden Sportcat UBC180XLT Handheld Scanner. 100 channels, 10 banks. Both UHF and VHF. Get inside the action with the smaller, easier to program SportCat scanner. Jump from car to car at an Indy race, hear the cockpit action at an air show or use the SportCat like a traditional scanner to keep up with police, fire, emergency and rescue forces. Comes complete with charger, rubber antenna, manual, beltclip and earpiece. boxed.